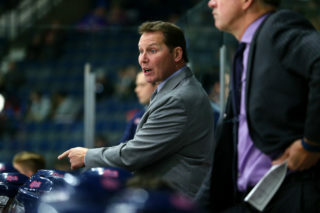 The Regina Pats dominated their way to a seventh straight win on Wednesday night at the Brandt Centre, 10-2 over the Kootenay ICE. Seven different Pats had multi point games, six of them with three points or more. 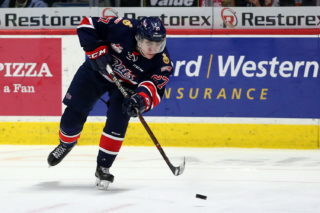 Connor Hobbs led the way with a goal and three assists and the Pats outshot the ICE 62-32 in the contest. Jordan Hollett stopped 30 shots for his fifth win in six starts. 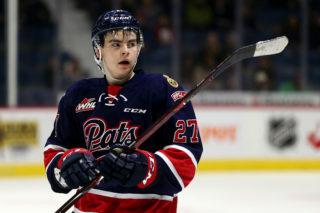 With the victory the Pats improve to 11-0-3-0 on the season and are back in action Friday night at the Brandt Centre against the Saskatoon Blades at 7 p.m.
Regina – Connor Hobbs (4) from Austin Wagner and Filip Ahl – 10:45. Regina – Filip Ahl (8) from Adam Brooks and Chase Harrison – 17:11. Regina – Nick Henry (6) from Sergey Zborovskiy and Dawson Leedahl – 0:21. Regina – Filip Ahl (9) from Adam Brooks and Austin Wagner – 4:11. Kootenay – Fedor Rudakov (1) from Dylan Stewart and Reed Morrison – 6:34. Regina – Sam Steel (11) from Adam Brooks and Connor Hobbs – 18:37 PP. Regina – Jake Leschyshyn (8) from Rykr Cole and Lane Zablocki – 18:53. Regina – Sam Steel (12) from Nick Henry and Dawson Leedahl – 1:14. Regina – Riley Bruce (1) from Connor Hobbs – 2:43. Regina – Nick Henry (7) from Dawson Leedahl and Sam Steel – 12:37. Kootenay – Fedor Rudakov (2) from Austin Wellsby – 14:46. Regina – Luc Smith (3) from Connor Hobbs and Riley Woods – 19:40 PP. – Seven Pats had multi-point nights. Six of them three points or more. – The Pats have scored 78 goals in their first 14 games. Averaging 5.57 per contest. 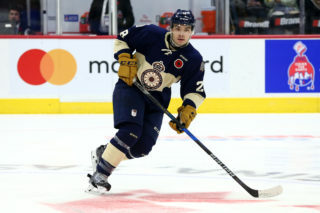 – Chase Harrison was a plus five on Wednesday and leads the WHL at plus 27. 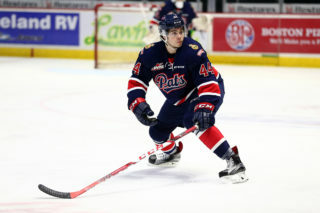 The Pats are back in action Friday at the Brandt Centre against the Saskatoon Blades at 7 p.m. Tickets are available at reginapats.com or at the Brandt Centre Box Office.